The 2018 Shann Memorial Lecture celebrated two important matters: the memory of Edward Shann, the eminent foundation professor of History and Economics at UWA, and the awarding of the Economic Society of Australia’s prestigious Austin Holmes Award to Professor Ken Clements, the 2018 Shann lecturer. You can access the slide of the presentation here. Scientific knowledge can be distilled into a set of laws that are useful in describing and predicting behaviour – behaviour of physical objects (the orbits of the planets, for example), invisible forces (electricity), economies (why some prosper and others languish) and people (education as investment in human capital). In this lecture, Professor Clements considers examples of important economic laws when reflecting on the general nature of the laws of economics, including how new ones might be created, as well as canvassing the credentials of several potential laws. After being awarded his PhD from the University of Chicago, Ken Clements joined UWA as Professor of Economics in 1981. 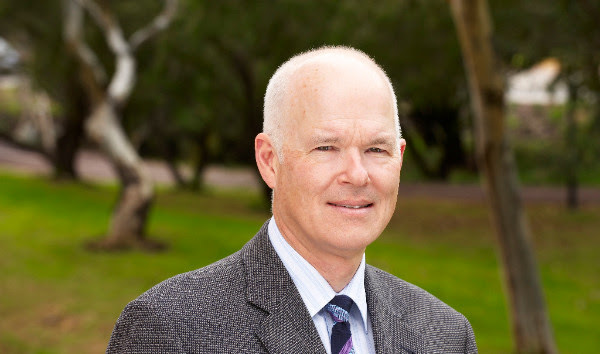 He is widely published, with two of his books published by Cambridge University Press (2009, 2013); he is a Fellow of the Academy of Social Sciences in Australia; he has received a citation for Outstanding Contributions to Student Learning from the Australian Learning and Teaching Council; and he has served as a Member of the Excellence in Research Australia 2015 'Economics and Commerce Research Evaluation Committee' for the Australia Research Council. He has supervised numerous research students and introduced the inaugural PhD Conference in Economics and Business at UWA in 1987. Since then, UWA has partnered with the Australian National University, the University of Queensland, Monash University, Melbourne University and the University of NSW to hold this prestigious conference annually, and about 800 PhD students from a large number of universities in Australia, New Zealand and elsewhere have now benefited from that initiative. In short, his contributions have been outstanding! Members of the Economic Society of Australia are delighted that the Austin Holmes Award is to be presented to Ken Clements at the 2018 Shann Memorial Lecture.